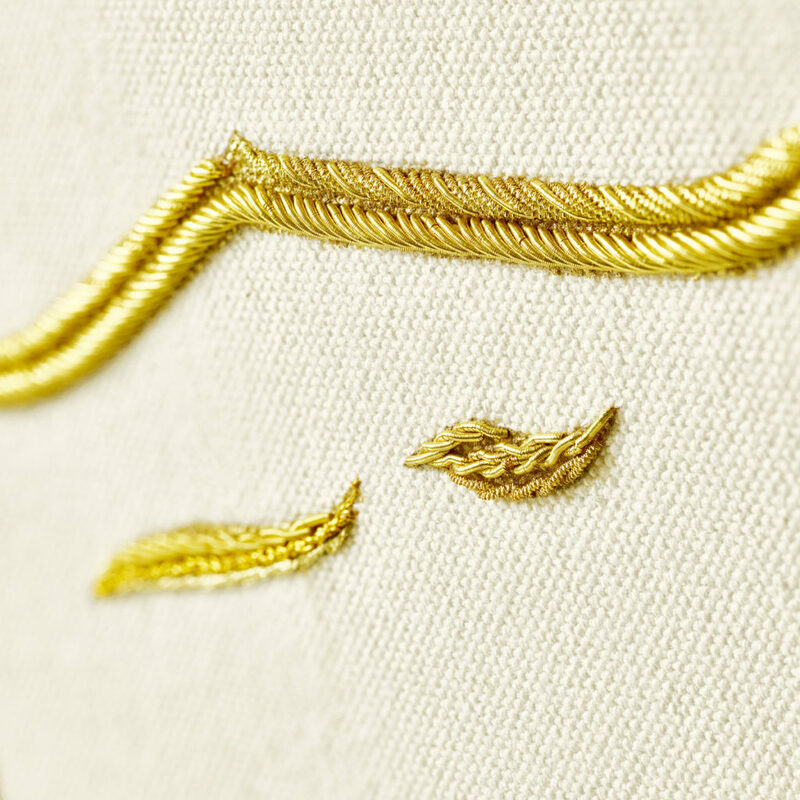 Gold thread embroidery on canvas. The Golden Landscapes series reflects a dream-like vision of the Swiss mountains, an ode to the beauty of these natural monuments. They recall the works of the Romantics who were fascinated by the dramatic dimension of this pristine environment. 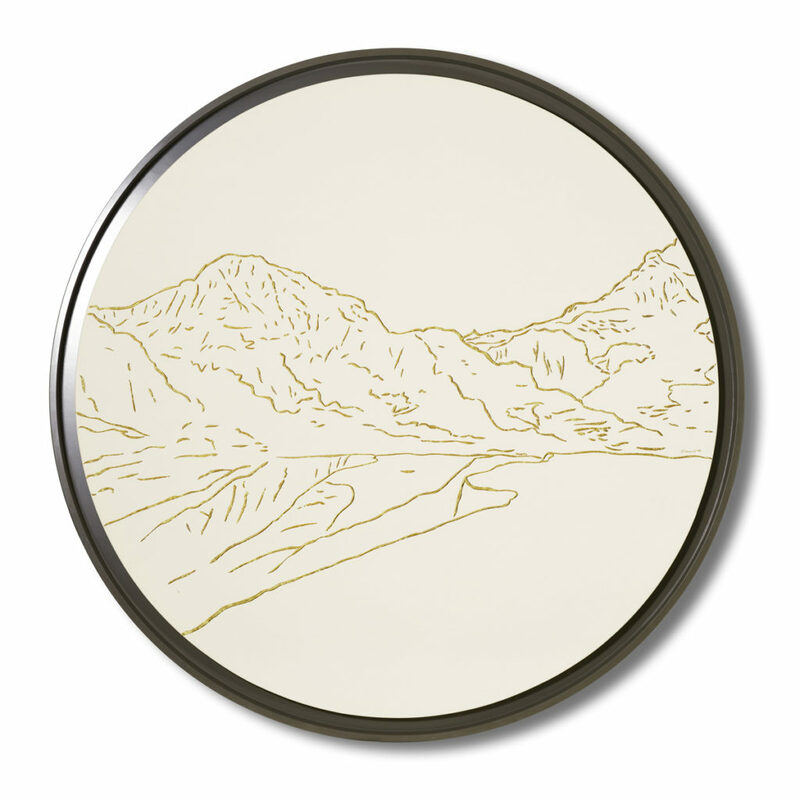 The landscapes draw inspiration from the neoclassical Geneva school of painting that celebrated the breathtaking and majestic character of the millennia-old Swiss Alps. Like religious icons, gold is used here to sacralize the subject. The Jungfrau, the Eiger, the Weisshorn and the Monte Rosa are among the timeless landmarks of the country that have inspired so many stories of alpine adventure. 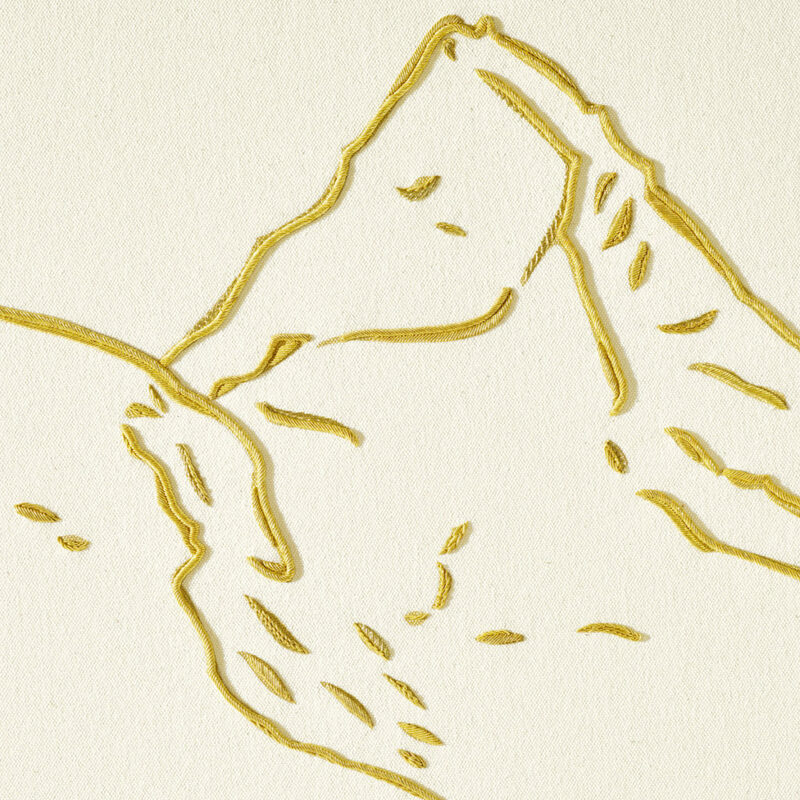 Using traditional embroidery techniques generally exclusively reserved for royalty, the highest levels of the clergy or the military, Philippe Cramer nourishes Swiss mythology by recreating the contours and formal characteristics of these famous mountains using gold thread. Having been distilled to their essence, these topographies become almost abstract, ethereal, as graphic monochrome gold compositions on the white canvas. The wide and round Tondo format mesmerizes and draws the viewer in, evoking the observation effect from binoculars, but also the targets used by archers or snipers. 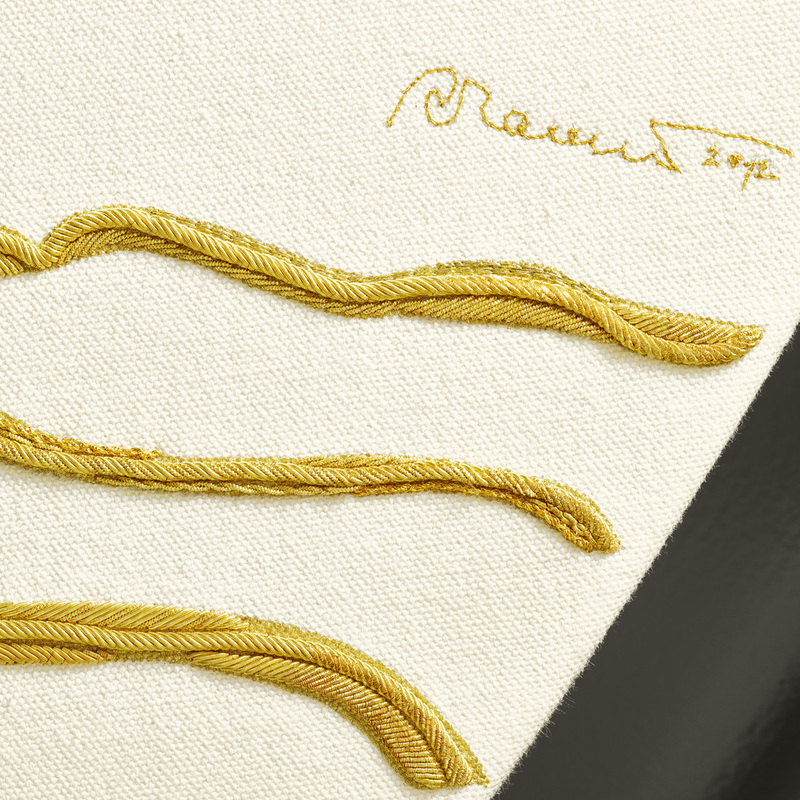 Each work is unique, entirely hand-embroidered with 12 carats gold thread by the Maîtres d’Art who decorate the jackets of the French Academicians and the robes of high-ranking clergy.